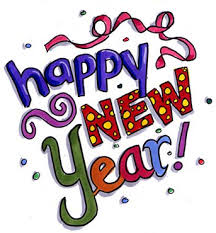 Tablets, hand held games, TV, smart phones, xbox, and so on. Kids love technology. Sometimes a little too much. 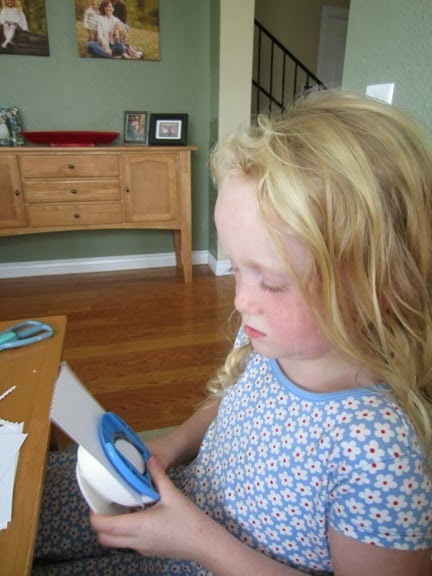 Inspired by this Pinterest pin, I decided to start using technology tickets at our house to make sure that we weren’t overdoing it with our screen time. Each technology ticket is worth 30 minutes of any kind of technology use. Each child gets a total of 8 tickets to use each week (4 hours worth). It is their choice of when to use them, but if they run out they’re done for the week. If two children are playing a video game together or watching the same TV show, they both pay. Parental discretion gives us the right to deny access to the technology when needed. We generally don’t make them pay for things like family movie night or if they are up and moving around with an active Kinect video game. You can set your own rules and guidelines – this is just what works for us. 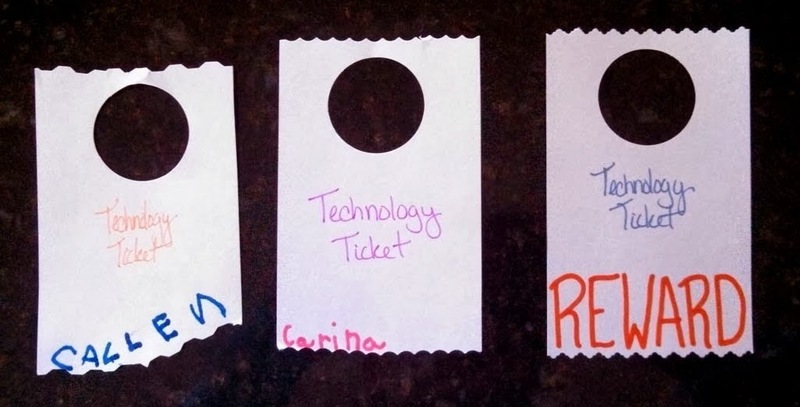 Now, our technology tickets are not as pretty as the example I saw on Pinterest, but getting my kids involved in creating the tickets helped them understand how the system would work, and also (surprisingly) got them excited about it. 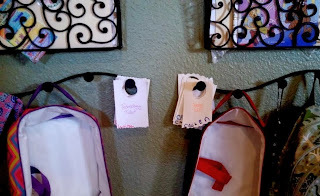 · A hole punch – we used a large circle punch so the tickets would fit on our coat hooks, but you can use whatever size you like. 1. Trim the short sides of each index card with the scrapbooking scissors to make it look like a ticket. 2. Punch a hole in the top of each ticket. 3. Have your child write their name on the bottom of each ticket. 5. 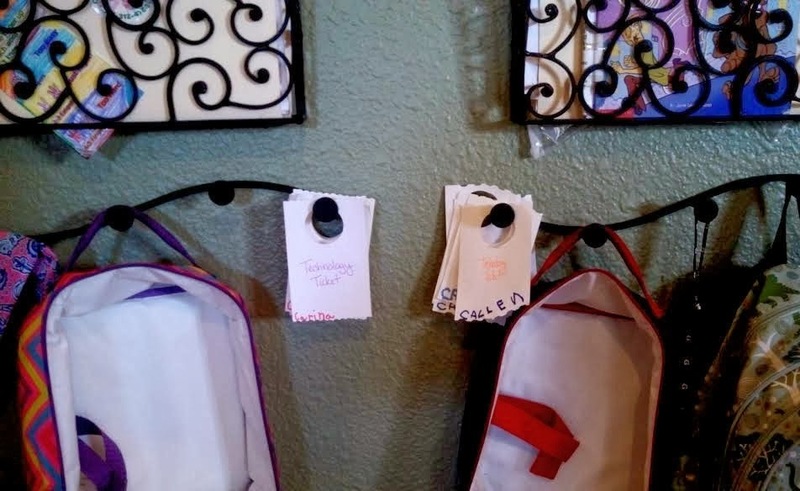 Find a “home” for them where the kids can easily see how many tickets they have available to them. Our technology tickets hang in our backpack command center . 6. You may want to have the kids make a few extra tickets in case their tickets get lost or torn. 7. I also made REWARD tickets. The kids know they can earn these for doing something extra nice or for outstanding behavior. This system not only keeps the kids in check, it keeps me in check too. It also taught some interesting lessons in budgeting and kindness. 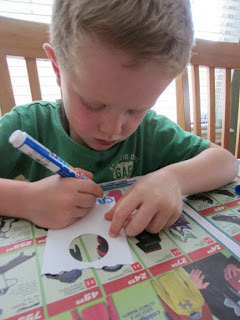 I was amazed when my preschooler started keeping track of how many tickets he had left, would ask me how many days were left in the week, and often opted for a non-screen activity based on his tickets to days remaining ratio. One day when he was out of tickets, his sister used her tickets to pay his way to a TV show so that they could both watch together. I hope this little tool will pave the way to more peaceful technology use at your house too. Fawn Rechkemmer writes about motherhood, being green, health and fitness, travel, and other things that make her go, “hmm…” on her blog, Instead of the Dishes. Hello! I guess this means that I'm back from my blogging break. As you can see, there have been absolutely zero changes to the blog...not what I had planned for this break. With the bad weather, working holidays in retail, traveling and other general craziness, I just didn't get my list of blog chores done. But I will work on it. 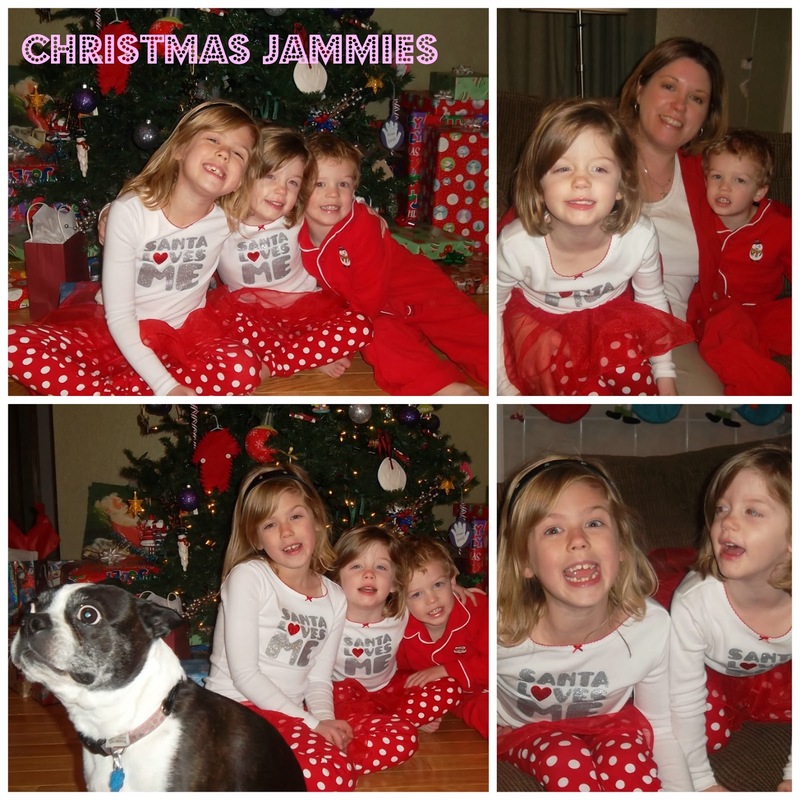 The kids' Christmas jammies were a big hit this year! We had fun being silly and taking some pictures. 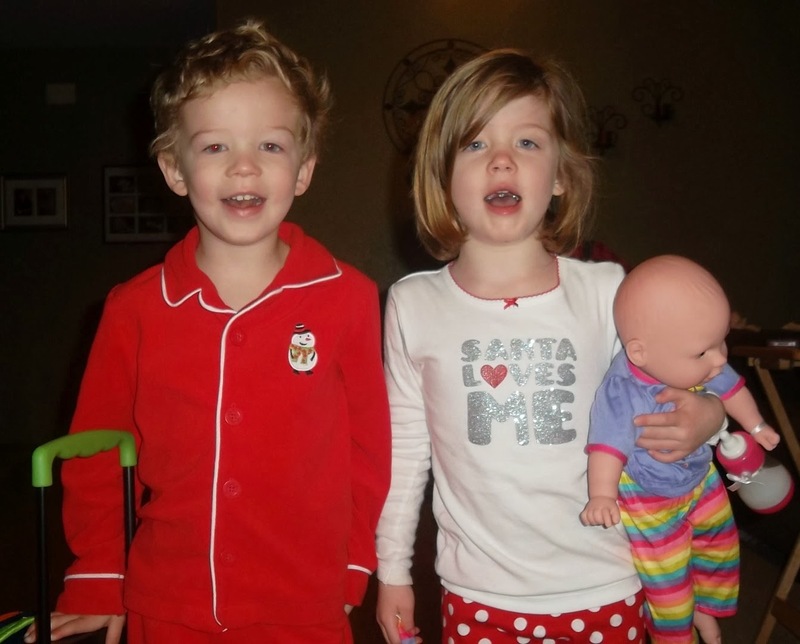 Here are the kids with their favorite gifts. 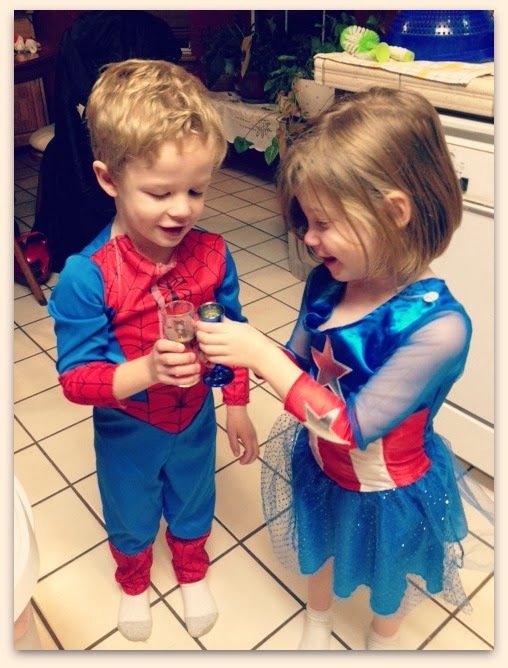 In fact, in a strange turn of events, each kid specifically asked Santa for one thing only. Lucky for them, Santa delivered! More than anything, Boy Twin wanted a "Bob the Builder truck." Doesn't he look so happy? Big Sis requested, begged, pleaded and longed for an American Girl doll. Um, Santa did what he could on that one. Meet Sadie; Big Sis is in LOVE! Girl Twin simply requested "a new Sissy," which means "a new doll" and NOT a new sister. We are thankful that Santa understood that loud and clear. We ended our holiday festivities with a weekend trip to Wynne to see the family. In all, my kids had four Christmases and thought they'd hit the Christmas Jackpot. I told them many times that they are so lucky to have so many people that love them and want to spoil them rotten. 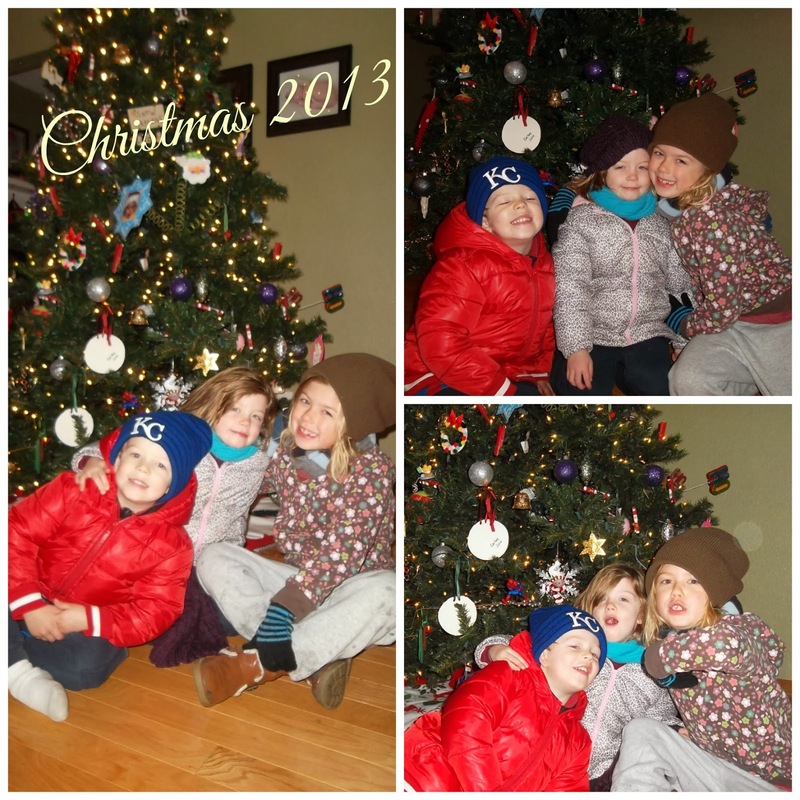 We had a great time visiting, laughing and eating with everyone this holiday season. Thanks to you all for loving my kids.